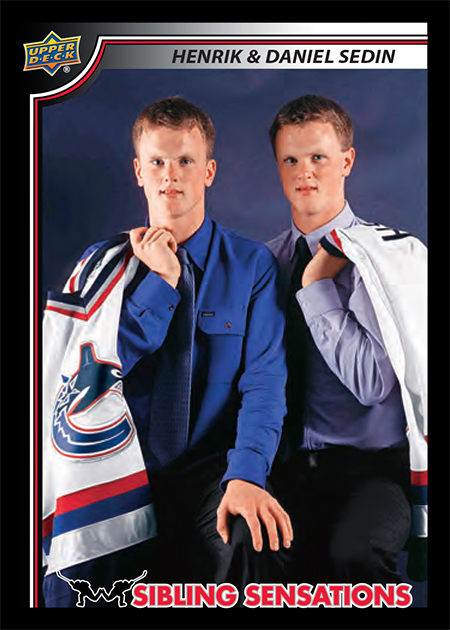 Collecting cards is a family experience. 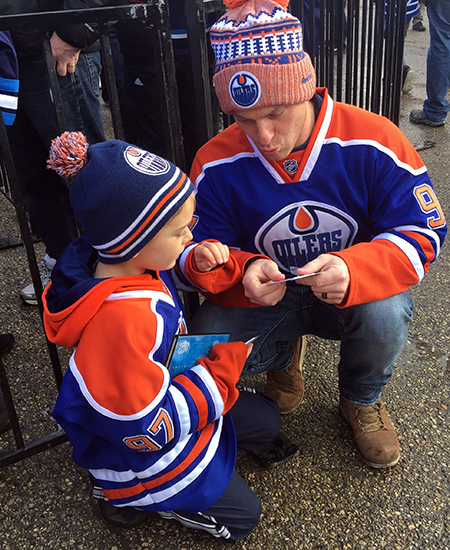 We see it all the times with mothers, fathers, kids and grandparents gathering together to enjoy the hobby they love. 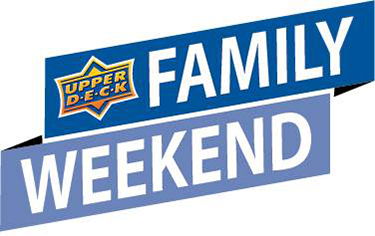 Upper Deck wanted to embrace the family experience with a new promotion called Family Weekend. 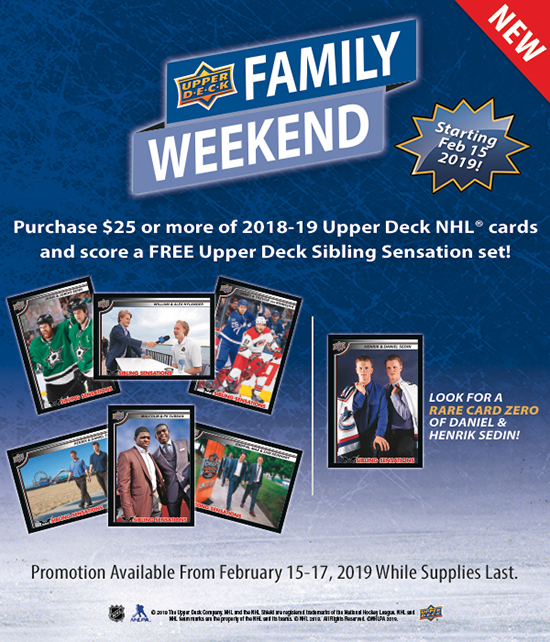 Hockey fans can score “Sibling Sensations” promotional packs to celebrate Upper Deck Family Weekend starting on Friday, February 15, 2019. 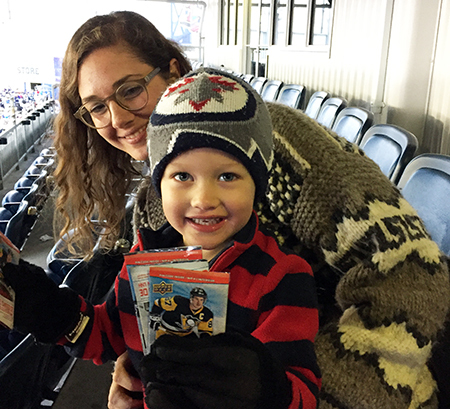 Share your Upper Deck Family Day stories on social media using #UDFamily. 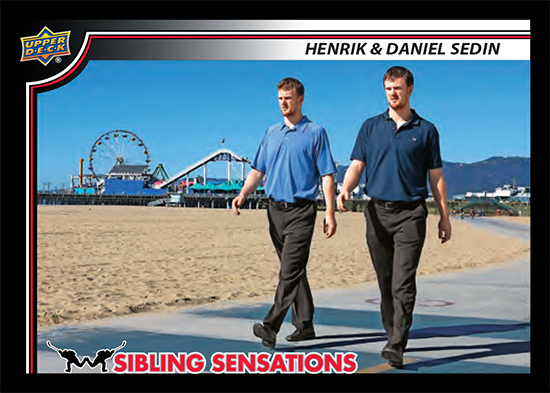 The “Sibling Sensations” set is a celebration of the bloodlines we see in the NHL® with brothers who have made it to the highest competitive level in the sport of hockey. 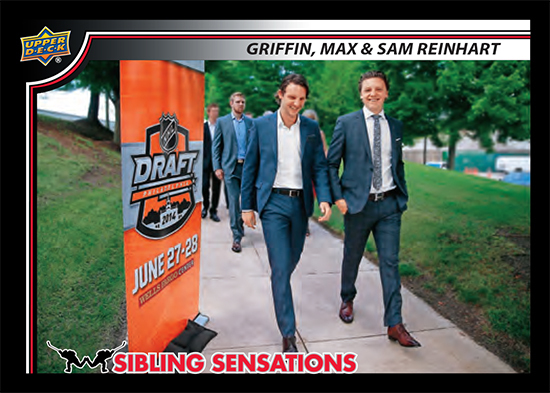 The imagery used features brothers enjoying the sport on and off the ice. Here’s a look at the checklist and imagery from the set. We know what you are thinking, “Where has this card been all my life?” You’re welcome, the wait is over! 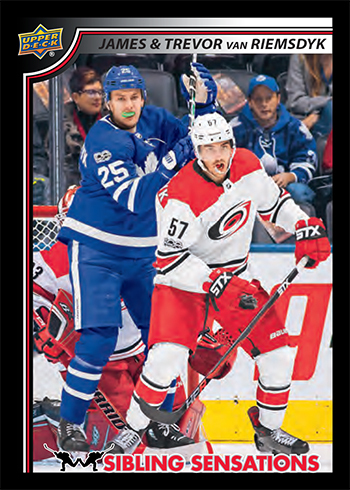 Fans can score these 8-card sets from participating dealers as a gift with any $25 purchase of 2018-19 NHL® Upper Deck cards. 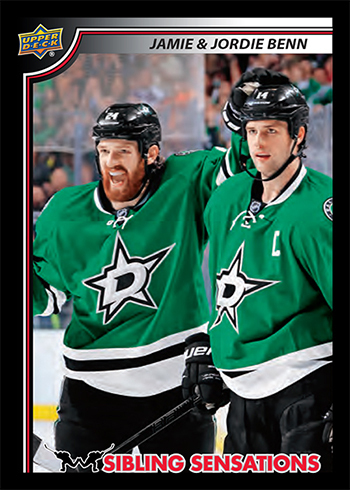 Some packs will include a short-printed Card 0, so keep on the lookout for this one. 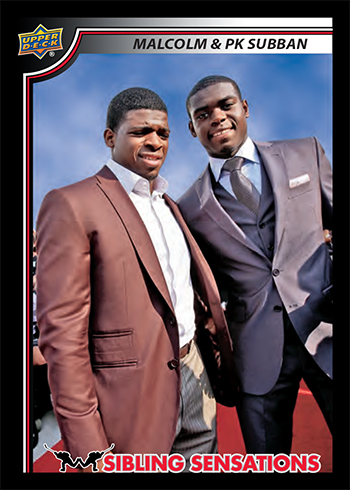 Upper Deck brought in hockey writer Sal Barry to pen the card backs for this special set. Look for some great commentary on these players and their family relationship. 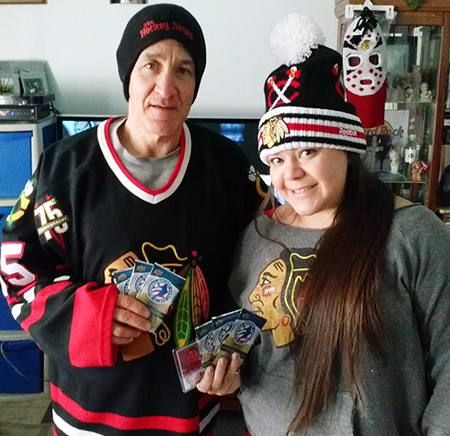 Check out some of Sal’s work online where he does a number of features on hockey cards, collectibles and culture. This could be one of the rare cases where the copy on the back is as entertaining as the images on the front of the card. 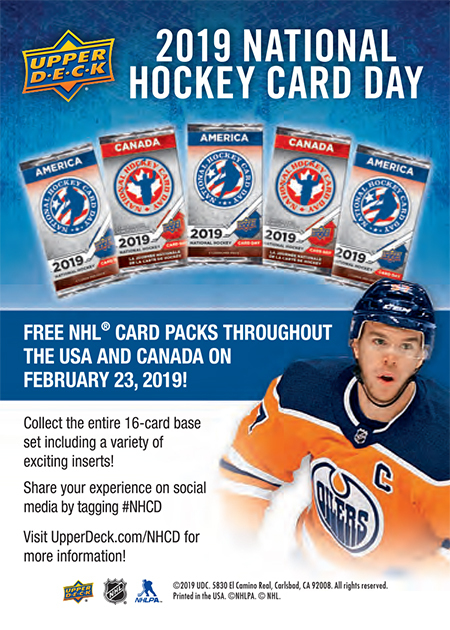 And don’t miss 2019 National Hockey Card Day the following weekend on Saturday, February 23, 2019. Fans can score a FREE pack just by visiting a participating Certified Diamond Dealer. 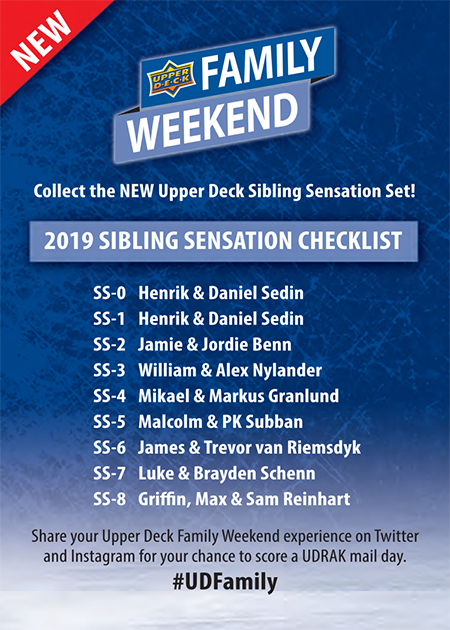 Great idea,although when it comes to family ties how about the six Sutters and their sons in the NHL?THE Howes(father and sons)and the Mahovlich,Esposito,Bentley bros.Also Morenz Boom Boom Geoffroin Danny and Blake.